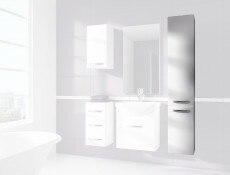 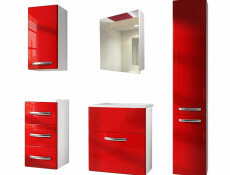 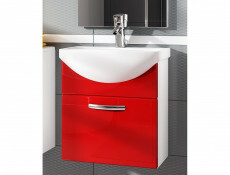 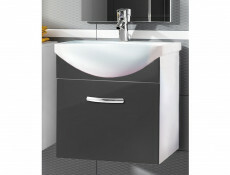 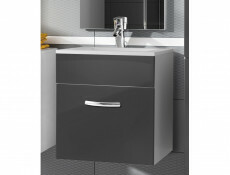 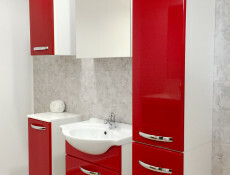 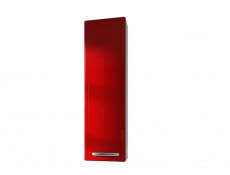 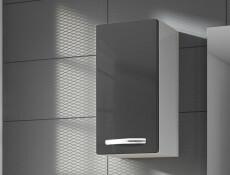 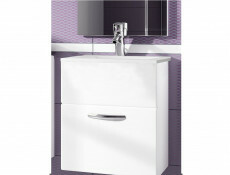 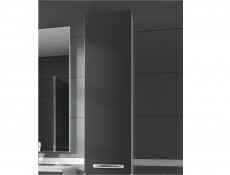 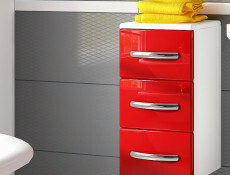 Modern tall wall mounted bathroom cabinet storage unit with Doors in White High Gloss / White Matt from modern Coral bathroom furniture range. 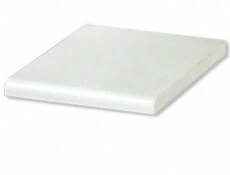 Overall Size: 30 cm (W); 163.4 cm (H); 30 cm (D). 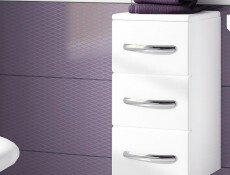 Body in white matt finish. 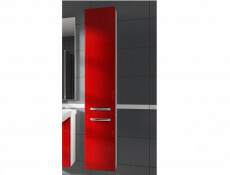 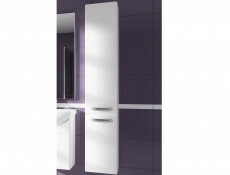 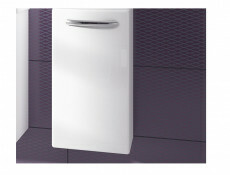 Doors in White High Gloss finish made of high quality MDF. 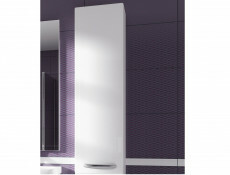 Moisture resistant MDF curved edge fronts. 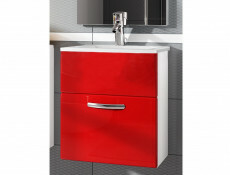 Our beautiful modern new high gloss bathroom range Coral offers a range of different units available to purchase individually or as a set. 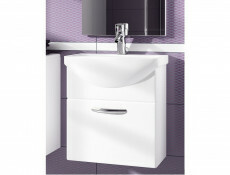 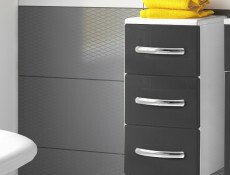 This compact bathroom furniture range is made of high quality materials and is a long lasting and affordable solution for your bathroom. 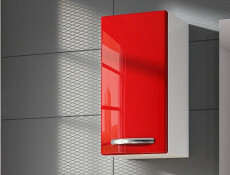 Also available in grey or red gloss. 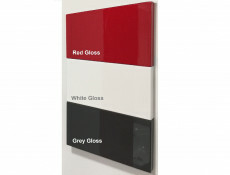 Please see our other listings for the alternative colour options. 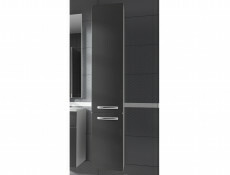 Quality Italian designed TYTANIUM hinges will serve their purpose well. 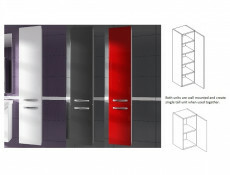 All doors are universal and can be fixed to be either left or right hand opening. 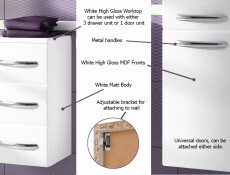 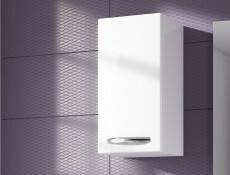 Wall units are hanging on adjustable hinges which can be regulated on uneven walls. 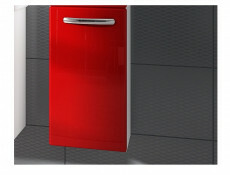 Handle holes are marked and partially pre drilled and door can be fitted left or right hand opening.